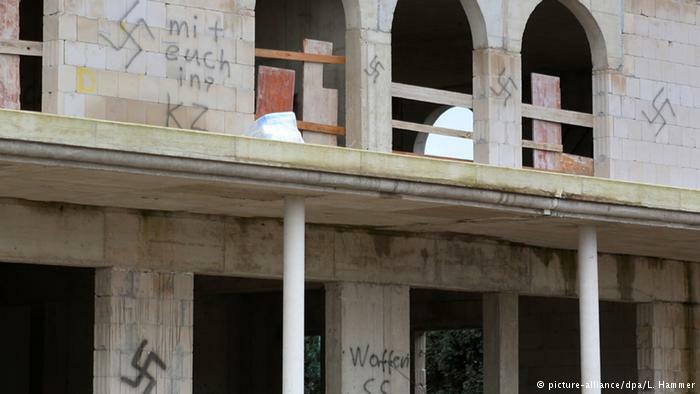 A half-built mosque in the northwestern German town of Dormagen has been spray painted with swastikas and racist slogans. The act of vandalism comes as anti-Islamic demonstrations continue to grow across Germany. The attack on the mosque has coincided with the rise of the controversial “anti-Islamization” PEGIDA movement in Germany. The group has been holding demonstrations in cities throughout the country for the past 10 weeks. Head of Neuss district police, Hans-Jürgen Petrauschke said he was horrified by the racially motivated crime. There is “no place for the spread of xenophobia or the glorification of the Nazi past” in the Rhein-Kreis Neuss area,” he told reporters. State security from Düsseldorf have begun an investigation into the crime and have also announced an reward of 1,500 euros ($1,833) for information leading to the arrest of the vandals. Generally, anti-Islamic sentiment has become far more vocal in Germany in recent weeks. Last Monday, in the eastern German city of Dresden, PEGIDA, which loosely translates as “Patriotic Europeans Against the Islamization of the West,” held their largest demonstration to date, with over 15,000 people taking to the streets in protest. Some observers fear that the protests are a sign that xenophobia is becoming increasingly socially acceptable in the country. Earlier this month, three buildings in the southern German state of Bavaria, which were intended to be used as accommodation for refugees were severely damaged by fire in a suspected arson attack. Racist graffiti was also found on a nearby building, bolstering suspicions that the blazes were deliberately set. This entry was posted in Far right racists, Featured international, Germany by Bob Pitt. Bookmark the permalink.